Basketball fans, you can also read my other articles, Sidney Moncrief Profile, Lisa Leslie Profile, and Rick Barry Profile. Jerry Sloan was born on March 28, 1942, in Gobbler's Knob, Illinois. He was the youngest of 10 siblings and his father died when he was four years old, leaving his mother to raise their family. The Sloan family supported themselves as farmers and Jerry would wake up before sunrise to do his chores. When he was finished, Jerry would walk miles to school to the rural town of McLeansboro, Illinois. This upbringing would serve him well later in his life because he learned the value of hard work, dedication, and persistence. While attending McLeansboro High School, he tried out for the varsity basketball team. Eventually, he became a star player and in his senior year, he was named an All-State player. Sloan attended Evansville College and led the team in scoring throughout his collegiate career. He helped Evansville win NCAA College Division Championships in 1964 and 1965. This is the only time that the Purple Aces have won consecutive championships in the university's history. In his senior season, they were undefeated, with a 29-0 record. Sloan was named to the small college All-American team. That season, Jerry averaged 17.6 points and 14.7 rebounds per game. What makes this accomplishment remarkable is that he was only six-foot-five inches tall. Centers and power forwards usually achieve numbers like these. Sloan's talents caught the attention of the NBA Baltimore Bullets and they drafted him with the fourth pick of the 1965 Draft. Unfortunately for Jerry, the Bullets were loaded with talented players such as Gus Johnson, Kevin Loughery, and others. This meant that Sloan received limited playing time as a rookie. The fortunes of Sloan changed when the Chicago Bulls entered the NBA in 1966. Chicago selected Jerry in the expansion draft making him the first player to join the franchise. His career prospered almost immediately. In their first season, the Bulls made the playoffs, led by Jerry Sloan and he averaged 17.4 points per game and a career best 9.1 rebounds. Unfortunately, Chicago was eliminated from the playoffs by the Saint Louis Hawks in 3 games. That season, he also appeared in his first of two NBA All-Star games. In 1968-69', Sloan earned his second All-Star appearance and was selected to the NBA All-Defensive team. He would accomplish this feat six times during his playing career. 1970-71' was perhaps Jerry's finest season. That year, he averaged a career-high 18.3 points per game, almost 9 rebounds and 3.5 assists. It was also the best season in the history of the Bulls. For the first time in franchise history, Chicago won 50 games in a season. The team went 51-31 and made the playoffs and competed against the Los Angeles Lakers in the playoffs. Once again, the Bulls came up short in the postseason, losing in seven games. 1974-75', would turn out to be another disappointing playoff exit for Jerry Sloan and the Bulls. In the Western Confernce Finals, they were favored to defeat the Golden State Warriors. Unfortunately for the Bulls, the Warriors eliminated Chicago in seven games. The following year, Jerry had to retire because of severe knee injuries and in 1978, the Bulls retired his #4. Today, it hangs next to Michael Jordan, Scottie Pippen, and Sloan's old teammate Bob Love. After serving as a Bulls' scout, Sloan was named Chicago's head coach in 1979. Despite giving maximum effort, Jerry could not turn the Bulls into a consistent winner. He was fired after two and a half seasons with a losing record. To this day, the firing bothers Sloan, especially by a franchise that he loved. Two years later, the Utah Jazz offered Jerry a position as a scout and he accepted their offer. From 1983-87', he was a scout and assistant coach for head coach Frank Layden. When Layden resigned in 1988, the Jazz organization named Jerry head coach. This was the beginning of one of the longest tenures of in professional sports. Sloan would be the main face of the Utah Jazz organization for 23 seasons and become one of the most respected coaches in NBA history. Under his direction, the Jazz made the playoffs a remarkable 19 times, won 6 Division Championships, and 2 NBA Finals appearences in 1997 and 1998. Ironically, Sloan lost in both these years to Michael Jordan and his old team, the Chicago Bulls. He coached a similar style that he employed as a player. He was tough, aggressive, unafraid, and no-nonsense. Sloan did not tolerate a lack of effort from players and demanded consistent execution. Jerry's offensive style of basketball reflected the simplicity of farm life that he grew up around. Sloan would mainly use the "pick-and-roll" offense which mainly revolved around Karl Malone and John Stockton. Other teams knew that the Jazz would run this play, but most of the time, they could not stop it. He would be just as demanding on future Hall of Famers Karl Malone and John Stockton as he would be a bench player. Almost every year, Jerry Sloan would lead the league in technical fouls fighting for his team to get fair treatment from referees. He also did not mind expressing displeasure with other coaches or opposing players. This earned him enormous respect from his players because they knew that Sloan would stand up for them. On February 10, 2011, Jerry abruptly resigned and it has been reported that Sloan had personality clashes with some of his players. Some insiders believe that he stepped down because he did not have the energy level that he once did. The real reasons may never be known. Three years later, the Jazz offered Sloan a consultant position and he accepted. In 2014, Utah hung a banner honoring Jerry Sloan with the #1223 and this represents the number of games he won as a coach. He finished his coaching career with a record of 1,223-803 and his teams won 50 or more games 10 times. I admire Jerry Sloan's work ethic, fearlessness, and never quit attitude. He has been honored by two organizations and this is unusual. It speaks volumes about Jerry Sloan's character and the respect that he has earned in his profession. When I see today's NBA players, I do not see many give the effort that Jerry Sloan gave every night. He was and is one of a kind and the NBA is better off because of him. Polyester Fiber Filled Ball-Molded Plastic Hoop and Backboard. Nylon Netting. Imported. 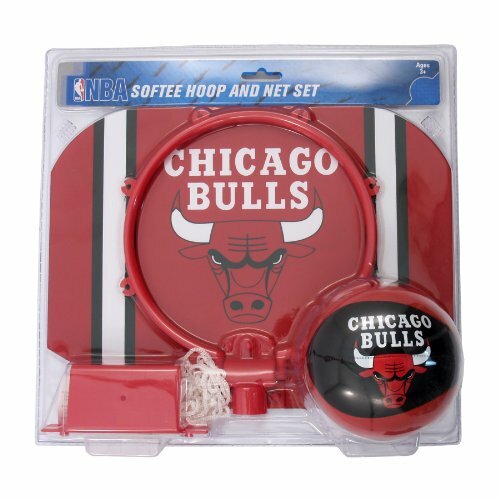 Includes plastic hoop set and basketball. Includes clip for attaching to door or chair. 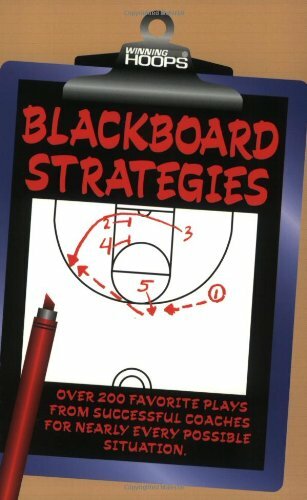 This compilation of "Blackboard Strategies" from 13 years of our popular Winning hoops issues offers just what it says:over 200 tried-and-true offensive plays used by 120 basketball coaches at all levels of play.Coaches found these strategies so useful they had to write us about them,so you are bound to love them too. 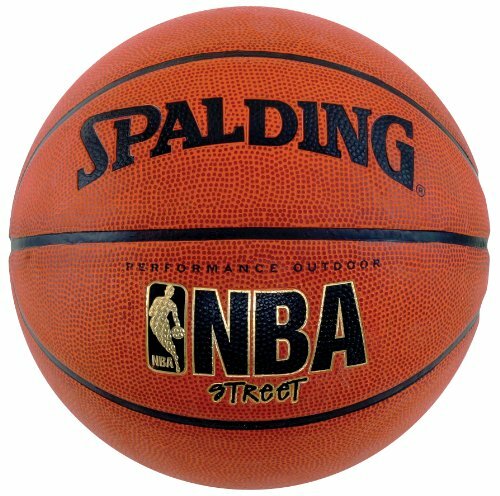 Ultra-durable,performance rubber cover designed to withstand the rough-and-tumble street game Wide channel design for excellent grip Features the NBA logo Official size(29.5 inches,size 7). 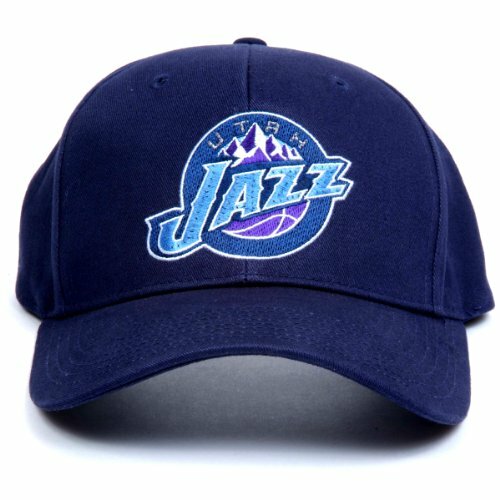 #1 Sports Fan Gift.Batteries included free.Fiber-optic enhanced hat with flashing team logo.Comfortable,durable 100% cotton fabric with team name on adjustable velcro closure.NBA Officially Licensed Product. 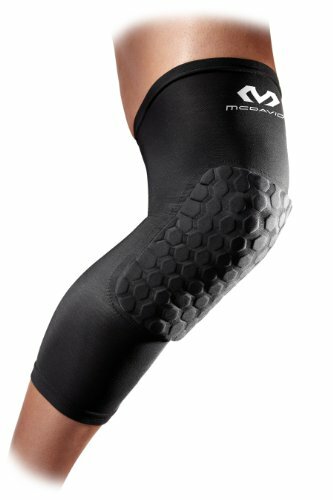 80% nylon/20% spandex.Hydrvent hDc fabric wicks moisture away from the skin.Very popular among professional and college athletes,especially in basketball.Includes one pair. 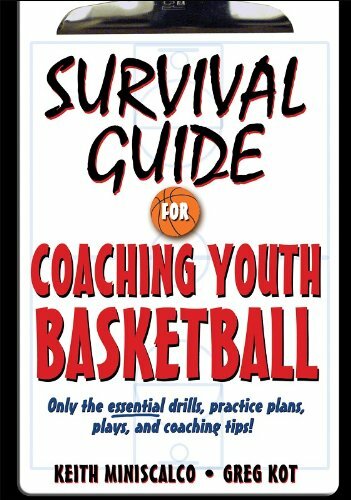 You volunteered to coach the basketball team,but are you really ready?How will you teach the fundamental skills,run effective practices,and harness the energy of your young team?Fear not:Survival Guide for Coaching Youth Basketball has the answers.